For the Scottish cricketer, see Andy Tennant (cricketer). For the cyclist, see Andy Tennant (cyclist). Andrew Wellman "Andy" Tennant (born June 15, 1955) is an American screenwriter, film and television director, actor, and dancer. Andrew "Andy" Wellman Tennant was born June 15, 1955 in Chicago, Illinois and was raised in Flossmoor, Illinois, a suburb of Chicago. His father was Don Tennant, a legendary creative advertising talent with Leo Burnett Agency in Chicago. As a boy, he spent his summers on Old Mission Peninsula in northern Michigan and at Camp Minocqua in northern Wisconsin. He graduated from Homewood-Flossmoor High School in 1973. He studied theater under John Houseman at University of Southern California. In 1978 he is cast as an extra of a dancing role in the musical adaption film Grease starring actor John Travolta and singer/actress Olivia Newton-John. That same year he is cast as an extra in a dancing role in the musical comedy film adaption of Sgt. Pepper's Lonely Heart's Club Band one in the same as The Beatles album (1978). His next role as an actor was in the 1979 period comedy film 1941 as Babyface directed by Steven Spielberg featuring the ensemble cast of Dan Aykroyd, Ned Beatty, John Belushi, John Candy, Chrisopher Lee, Toshiro Mifune and Robert Stack. He is cast in the comedy film Midnight Madness as Melio - Blue Team in (1980). He was cast as Boy Greaser in the sequel musical romantic-comedy Grease 2 starring actor Maxwell Caulfield and actress Michelle Pfeiffer in (1982). Tennant quit acting and began writing and producing with his first project being the NBC made-for-television movie Moving Target in (1988) starring actor/comedian Jason Bateman, singer/actress Chynna Phillips and actor Jack Wagner. He branched out to directing, making his directorial debut in 1989 for the ABC coming-of-age comedy-drama series The Wonder Years directing the season 3 episode "Math Class" starring actor Fred Savage in (1989 and 1991). 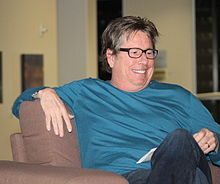 He worked as a director and producer for two episodes of the NBC adaption of '80s John Hughes film Ferris Bueller starring actor Charlie Schlatter in (1990). He directed four episodes from season 1 of the Fox sitcom Parker Lewis Can't Lose starring actor Corin Nemac (1990). He directed the TNT made-for-television drama movie Keep the Change starring actor William Peterson in (1992). He directed the unaired pilot episode of the Fox comedy series Bill and Ted's Excellent Adventures a spin-off of the '80 film series originally starring actor Keanu Reeves in (1992). He directed the made-for-television movie Desperate Choices: To Save My Child starring actress Joanna Kerns and actor Bruce Davison in (1992). He directed an episode of the Fox sitcom Great Scott! starring actor Tobey Maguire in (1992). He directed the made-for-television movie What She Doesn't Know in (1992). He directed the ABC made-for-television drama movie The Amy Fisher Story starring actress Drew Barrymore in (1993). He directed two episodes of the Fox weird western series The Adventures of Brisco County, Jr. starring actor Bruce Campbell in (1993). He directed an episode of the CBS crime/drama series South of Sunset starring actor Glenn Frey in (1993). He directed an episode of the ABC series The Byrds of Paradise starring actor Timothy Busfield in (1994). He directed an episode of the Fox science fiction/fantasy series Sliders starring actor Jerry O'Connell in (1995). He made his feature film directorial debut in 1995 with the comedy/family film It Takes Two starring actress/comedienne Kirstie Alley, actor/comedian Steve Guttenberg and actresses Mary-Kate and Ashley Olsen. He directed the romantic comedy film Fools Rush In starring actor/comedian Matthew Perry and actress Selma Hayek in (1997). He directed and wrote the romantic/drama film Ever After: A Cinderella Story re-teaming with Drew Barrymore in (1998). He directed the biographical drama film Anna and the King loosely based on the 1944 novel Anna and the King of Siam, which give a fictionalized account of the diaries of Anna Leonowens starring Oscar-winning actress Jodie Foster and actor Chow Yun-fat in (1999). He directed the romantic/comedy film Sweet Home Alabama starring actress Reese Witherspoon in (2002). He returned to television to directed as well as co-produce an episode of the Fox drama series The American Embassy starring actress Arija Bareikis in (2002). He returned to the silver screen to direct the romantic comedy film Hitch starring actor Will Smith and actress Eva Mendes in (2005). He directed the made-for-television Fox movie The Wedding Album starring actor Bruno Campos and actress Tara Summers in (2006). He directed the romantic comedy/adventure film Fool's Gold starring actor Matthew McConaughey and actress Kate Hudson in (2008). He directed the made-for-television movie Operating Instructions in (2009). He directed the action/romantic-comedy film The Bounty Hunter starring actor Gerard Butler and actress Jennifer Aniston in (2010). He directed the made-for-television movie Thunderballs in (2011). He served as an executive producer for the ESPN sports newsmagazine series E:60 earning three Emmy nominations and one win from (2011-2016). He directed an episode of the Amazon Video web series Betas starring actor Joe Dinicol in (2013). He directed the comedy film Wild Oats starring actresses Shirley MacLaine and Jessica Lange in (2016). He directed two episodes of the up-coming Netflix web series The Kominsky Method starring actor Michael Douglas in (2018). Tennant married Fine Art and Cultural Photographer, Sharon Kay Johnson February 13, 1993. The couple have four children, three of whom are triplets. They currently reside in Los Angeles, California. 1992 Bill & Ted's Excellent Adventures Director Episode: "Unaired Pilot"
1992 Great Scott! Director Episode: "Pyrrhic Lyric"
1993 South of Sunset Director Episode: "Satyricon"
1994 The Byrds of Paradise Director Episode: "In Todd We Trust"
1995 Sliders Director Episode: "Pilot"
2002 The American Embassy Director/Co-Producer Episode: "Pilot"
^ "Grease (film)". Wikipedia. 2018-04-15. ^ "Sgt. Pepper's Lonely Hearts Club Band (film)". Wikipedia. 2018-04-11. ^ "1941 (film)". Wikipedia. 2018-04-06. ^ "Midnight Madness (film)". Wikipedia. 2018-03-23. ^ "Grease 2". Wikipedia. 2018-04-15. ^ "Moving Target (1988 American film)". Wikipedia. 2017-04-09. ^ "The Wonder Years (season 3)". Wikipedia. 2018-02-06. ^ "Ferris Bueller (TV series)". Wikipedia. 2018-04-15. ^ "List of Parker Lewis Can't Lose episodes". Wikipedia. 2017-08-16. ^ "Keep the Change (film)". Wikipedia. 2017-01-19. ^ "Bill & Ted's Excellent Adventures (1992 TV series)". Wikipedia. 2018-02-10. ^ "Desperate Choices: To Save My Child". Wikipedia. 2017-10-01. ^ "Great Scott! (TV series)". Wikipedia. 2018-01-19. ^ "The Amy Fisher Story". Wikipedia. 2017-09-02. ^ "The Adventures of Brisco County, Jr". Wikipedia. 2018-03-08. ^ "South of Sunset". Wikipedia. 2018-02-28. ^ "The Byrds of Paradise". Wikipedia. 2018-04-04. ^ "It Takes Two (1995 film)". Wikipedia. 2018-04-06. ^ "Fools Rush In (1997 film)". Wikipedia. 2018-04-13. ^ "Ever After". Wikipedia. 2018-04-05. ^ "Anna and the King". Wikipedia. 2018-03-29. ^ "Sweet Home Alabama (film)". Wikipedia. 2018-04-08. ^ "The American Embassy". Wikipedia. 2017-11-17. ^ "Hitch (film)". Wikipedia. 2018-04-14. ^ "The Wedding Album (TV series)". Wikipedia. 2017-11-13. ^ "Fool's Gold (2008 film)". Wikipedia. 2018-04-02. ^ "The Bounty Hunter (2010 film)". Wikipedia. 2018-03-23. ^ "Wild Oats (film)". Wikipedia. 2018-03-13. ^ "The Kominsky Method". Wikipedia. 2018-04-10. ^ "WEDDINGS; Sharon Johnson, Andrew Tennant". Retrieved 2018-04-18. ^ "Andy Tennant". IMDb. Retrieved 2018-04-18. ^ "Sharon Johnson-Tennant - Artists - Robert Berman Gallery". www.robertbermangallery.com. Retrieved 2018-04-18. This page was last edited on 22 November 2018, at 05:58 (UTC).